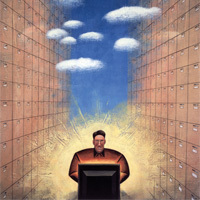 Not surprisingly, online data storage can generate a bit of queasiness. Lawyers have an ethical responsibility to protect client information from inadvertently falling into the hands of inappropriate others; failing to carry through with that duty can generate unfortunate repercussions. On the other hand, the same lawyer may never think twice about attaching a document to an e-mail message and sending it swirling around the open 'net. Cloud computing is maturing into a plausible alternative…Contrary to what many believe, online storage facilities are actually more secure than files that you have sitting on your local desktop. … As with anything, weigh the risks. A recent Gartner study (http://tinyurl.com/LTN94BB1) outlines seven security issues to consider when evaluating a cloudstoring vendor. Among them: Inquire about user access, regulatory compliance, recovery drills, and what they would do with your data should they go out of business. All of these questions should be answered before you agree to upload your data. (See SureTech.com Security Measures Here). "Reprinted with permission from the April edition of the Law Technology Review © 2009 ALM Properties, Inc. All rights reserved. Further duplication without permission is prohibited."